Mercedes driver Valtteri Bottas held the initiative after the early running using medium-compound Pirelli tyres, setting a time of 1m30.124s to head Leclerc by 0.079s, with the second Mercedes of Lewis Hamilton third after improving his time on his second push lap. But Ferrari was the first of the leading teams to send its drivers out on softs, with Vettel setting a time of 1m28.942s to take top spot. 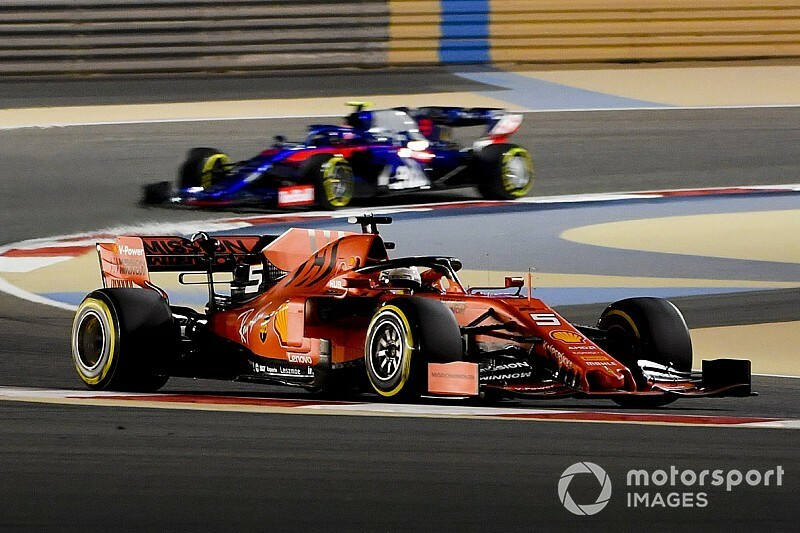 Leclerc, running behind Vettel on track, slotted in behind with a 1m29.083s to put Ferrari first and second shortly before the half-hour mark. Mercedes duo Valtteri Bottas and Lewis Hamilton then attempted performance runs on softs, with the former backing out on his first lap after a scruffy run through the first two corners after going past the two Ferraris, who were well out of the way, into Turn 2. But Hamilton was able to nail his lap, slotting into third place after losing 0.257s in the first sector, completing the second sector 0.449s behind and then crossing the line 0.507s off. Bottas was then able to complete a lap at the second attempt, posting a time a tenth slower than Hamilton. Unusually, Ferrari then sent both drivers back out on another fresh set of softs, presumably because the conditions are more representative as preparation for qualifying than had they saved them for FP3. 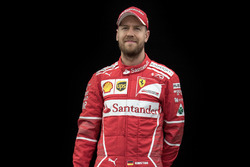 Vettel improved to a 1m28.846s, with Leclerc lapping just 0.035s slower, to establish an advantage of 0.603s over Hamilton in third place. This strategy meant Ferrari started its race simulations later than usual, but Vettel spun exiting Turn 2 early in his long run before recovering. Renault driver Nico Hulkenberg put in an impressive 1m29.669s on his performance run to take fifth place, ahead of the Red Bull of Max Verstappen by around half-a-tenth, with the Dutchman not managing to string together three strong sector times. 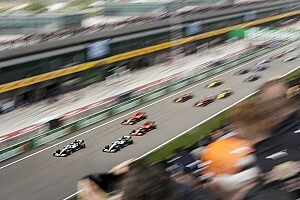 Haas pairing Kevin Magnussen and Romain Grosjean were seventh and ninth, sandwiching the lead McLaren of Lando Norris – with the trio separated by just 0.068s. With 11 minutes remaining, Norris limped back to the pits slowly reporting over the radio "I think it's misfiring or something". Toro Rosso driver Daniil Kvyat rounded out the top 10, setting a time 1.247s off top spot and a tenth ahead of the second McLaren of Carlos Sainz. Pierre Gasly had a disappointing run in the second Red Bull and ended up 12th, 0.704s slower than teammate Max Verstappen after struggling to get the tyres into the right temperature window. Alex Albon was 13th in the second Toro Rosso ahead of the lead Racing Point of Sergio Perez, with Renault driver Daniel Ricciardo down in 15th, two seconds off the pace. 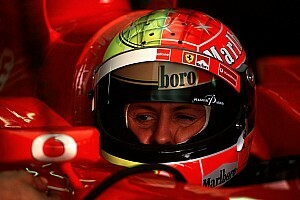 Kimi Raikkonen only completed six laps for Alfa Romeo and ended up 16th, 2.242s down, after a strange spin on his out-lap. 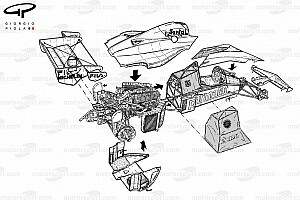 Raikkonen emerged from the pits and was circulating slowly at Turn 2 when he spun the car on the throttle – going on to complete a run and set a lap time but then disappearing into the garage where the team was focused on work around the rear end of the car. Teammate Antonio Giovinazzi also had a restricted session, although he did return to the track late on after completing just four in the early running. He eventually logged 10 laps and ended up 18th behind Racing Point's Lance Stroll. 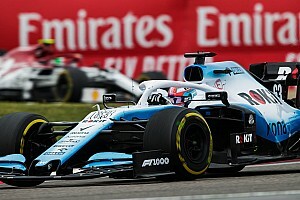 George Russell won the battle of the Williams drivers at the back, lapping three seconds off the pace and just over a second faster than teammate Robert Kubica.